The 24th INFORUM conference takes place at VŠE today and tomorrow. INFORUM has become one of the most important events of its kind in Central and Eastern Europe. It covers topics related to electronic information resources and its professional use in science, research, education and business. On Friday, May 18, 2018, International Management/CEMS students, corporate partners and academic tutors gathered at the University of Economics, Prague to present the results of their Business Projects. Each students’ presentation was followed by comments from the corporate representative and the tutor, fellow students asked many questions. EVACUATION: Due to the announced bomb in ŽIŽKOV and JIŽNÍ MĚSTO campus, please leave the University. This summer the International Office of the University of Economics, Prague, organises two summer schools. 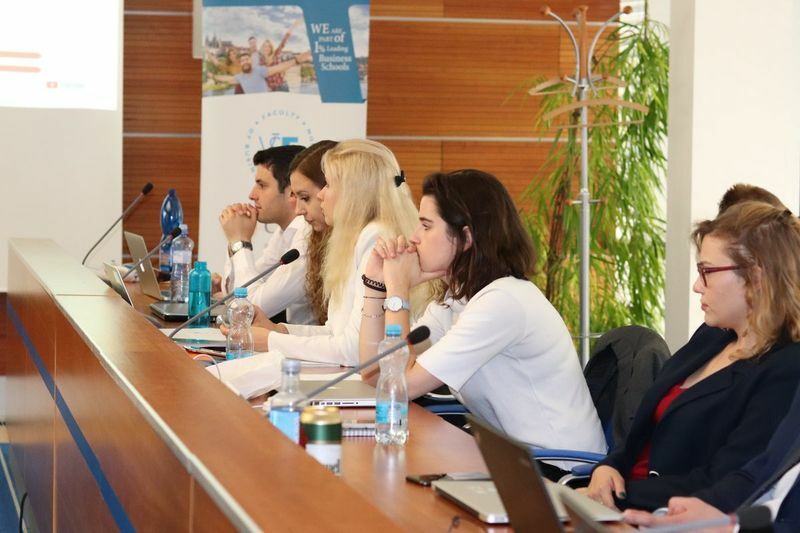 Another summer school is organised within the CESP programme and two summer schools for international students led by the Faculty of International Relations also take place this summer at VŠE.